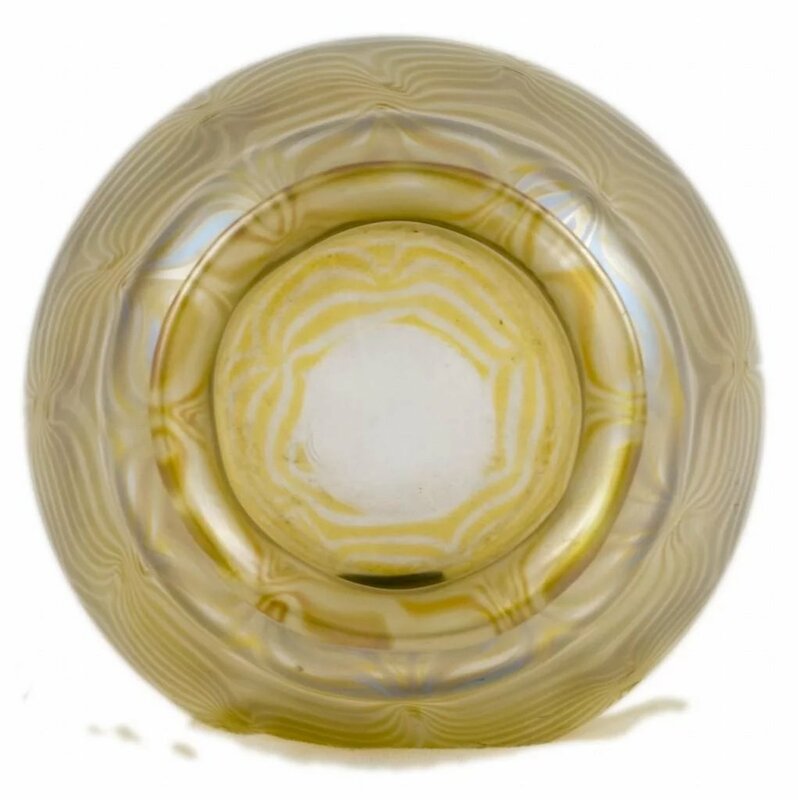 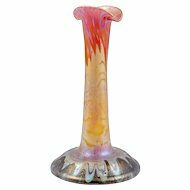 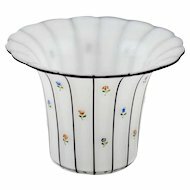 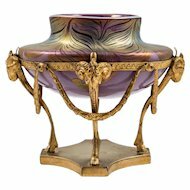 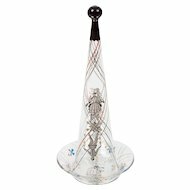 Beginning with the year 1899 the cooperation of the Viennese enterprise E. Bakalowitz Söhne with the Art Glass Studio Loetz Witwe Klostermühle grew more and more intense. 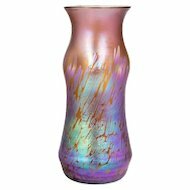 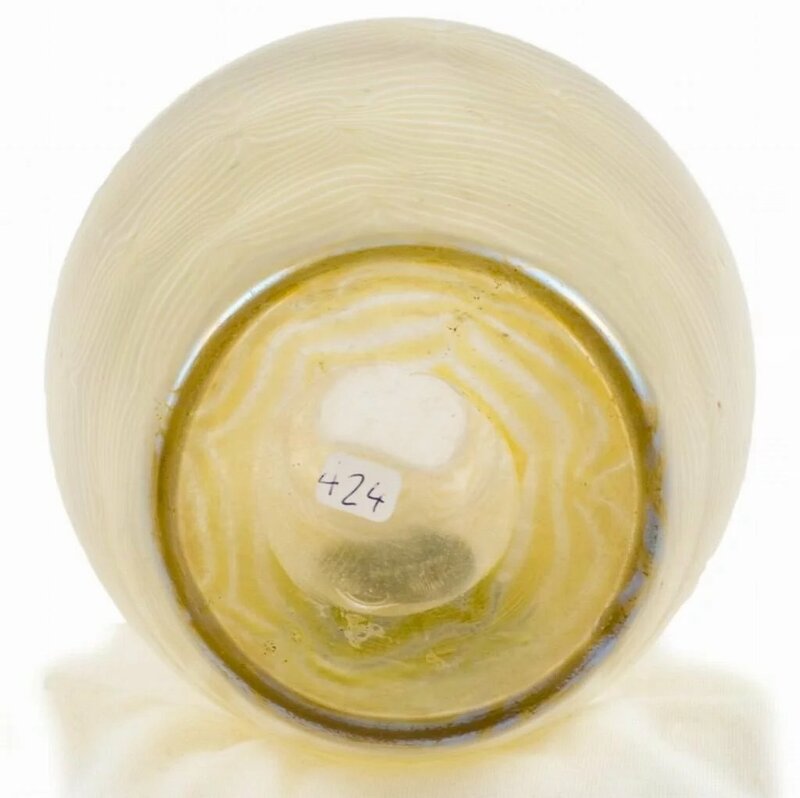 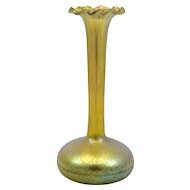 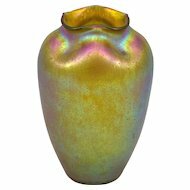 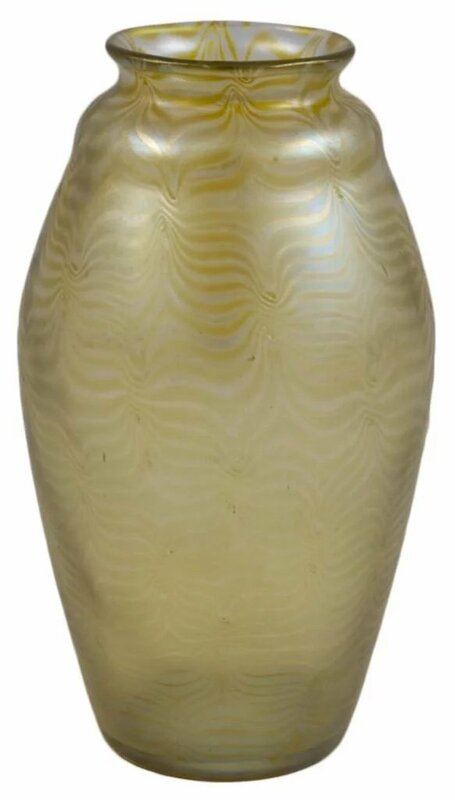 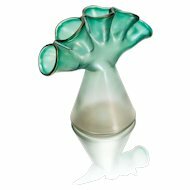 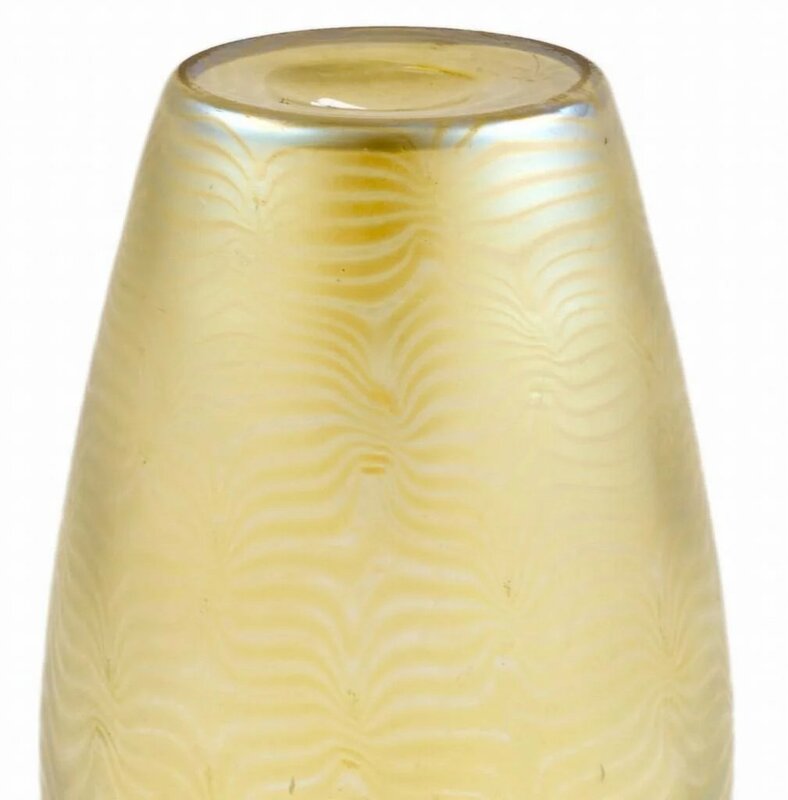 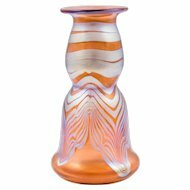 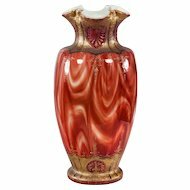 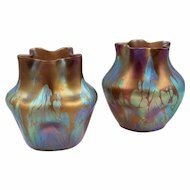 Famous artists like Josef Hoffmann, Koloman Moser and Jutta Sikka designed vases and decors which were produced by the art glass studio Loetz Witwe. 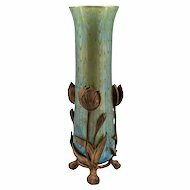 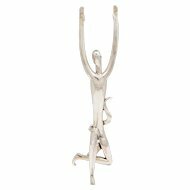 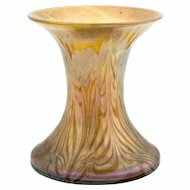 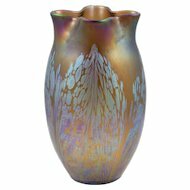 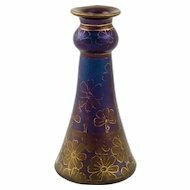 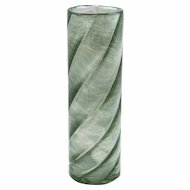 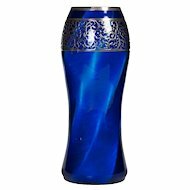 This vase was produced in the early years of this wonderful and inspiring joint venture between those two enterprises. 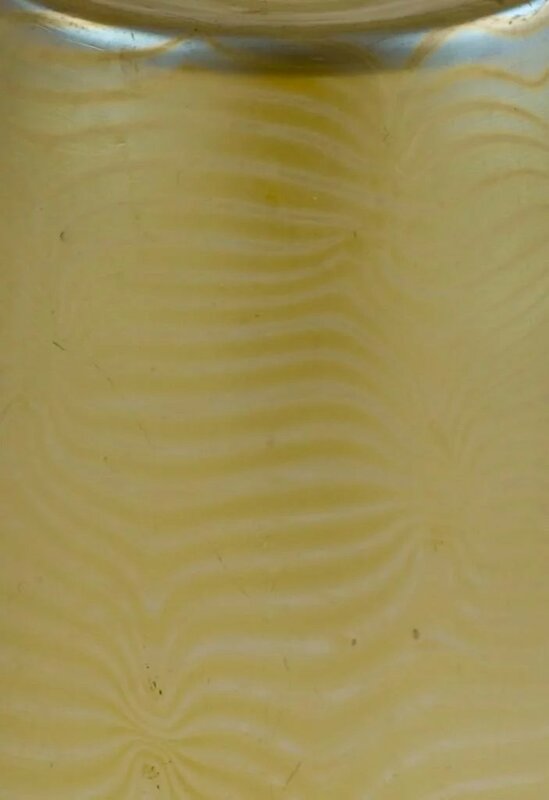 In this time, some experimental techniques were used, for example the combing of silverglassstripes. 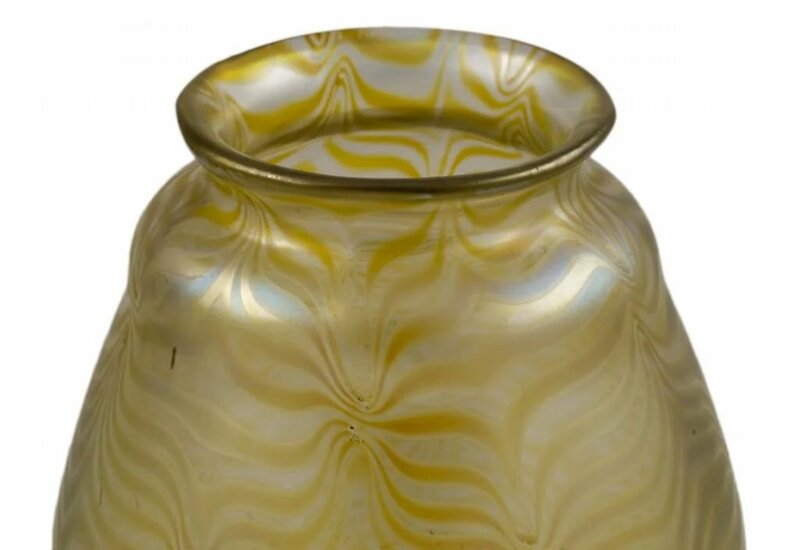 One of these results is the decor Phenomen Genre 85/3780.